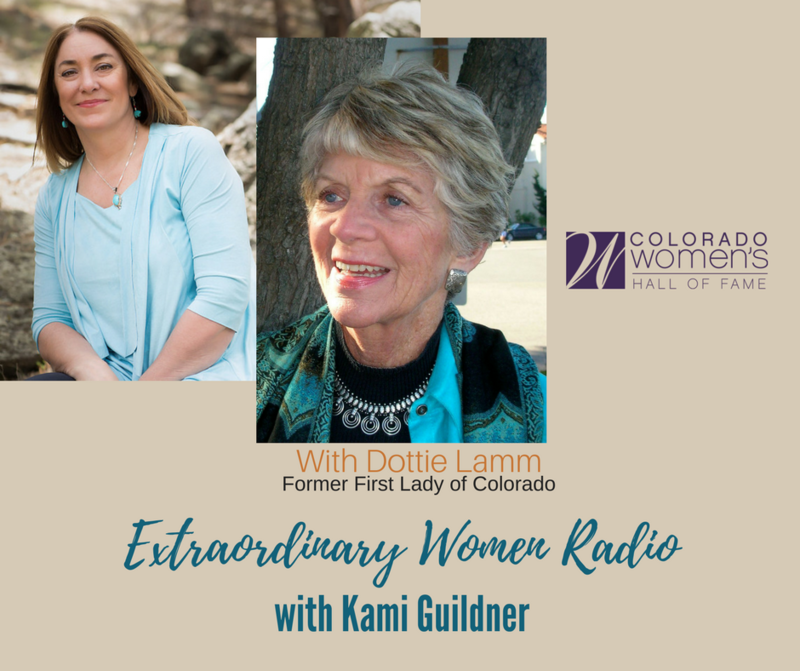 I’m humbled and honored today to bring you this Extraordinary Women Radio interview with Dottie Lamm, the former First Lady of Colorado, a legendary women’s movement leader and activist! Dottie is a Colorado Women’s Hall of Fame Inductee, an organization that I’m pleased to partner with – helping tell the stories of women who have really made a difference in Colorado! I love this interview – Dottie’s delightful storytelling is filled with humor and wisdom! She gives great advice on lighting up our courage (hint: it starts with jumping in and just getting active!). We chat about surviving success and surviving failure, philanthropy, feminism and the biggest challenges women are facing today. Dottie shares how important it is to engage in the courageous conversations we need to be having now and give voice to what we care about. Dottie has taken a stand and stood up for so many causes in her lifetime. I’m so inspired. Her writings, her teachings, her stories – have made a difference and helped shape opportunities, guide policy and open doors for women and others for many years. She marched with Betty Ford and other first ladies on the national Equal Rights Amendment; and worked to help pass Colorado’s Equal Rights Amendment. She marched in Selma for voting rights for African-Americans. In the mid-nineties, she was appointed by President Clinton to the U.N. Conference on Population and Development in Cairo, and to the Fourth World Conference on Women in Beijing. The Big Sisters’ Contributions to Women Award. The Colorado Black Women for Political Action Award. The Anti-Defamation League Civil Rights Award. The Occidental College Gold Seal Alumni Award for Community Service. Dottie is a legend in her own right and let’s just say, I’m a bit-awe-inspired to share this interview with you! I hope you enjoy it as much as did getting to interview Dottie! The Colorado Women’s Hall of Fame mission is to inspire by celebrating and sharing the enduring contributions of Colorado’s distinctive women. To achieve this, the Hall educates the people of Colorado about the stories of the women who shaped our state and the nation’s history with courage, leadership, intelligence, compassion, and creativity. Their talents, skills, struggles, and contributions form a legacy that the Colorado Women’s Hall of Fame is dedicated to protecting.